Current selected tag: 'hair drawing tips'. Clear. Everything you need to know about drawing hair on male and females is included in this reference guide. 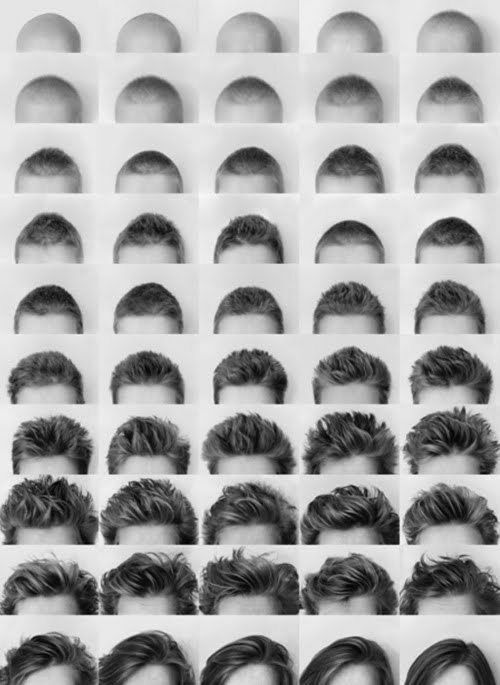 The hairstyles range from bald to medium to long. This is an extremely useful guide for any portrait artist. Begin by drawing a large circle. Divide this circle horizontally into thirds, and cut it in half with a vertical line. Do not worry if your horizontal lines don't split the face into even pieces; the proportions will be different depending on the style of face you want to draw, anyway, so its all right if they aren't exact. Learn the steps to draw heads and hair. Wth the simple drawing tips you will be able to draw different types of haircuts!